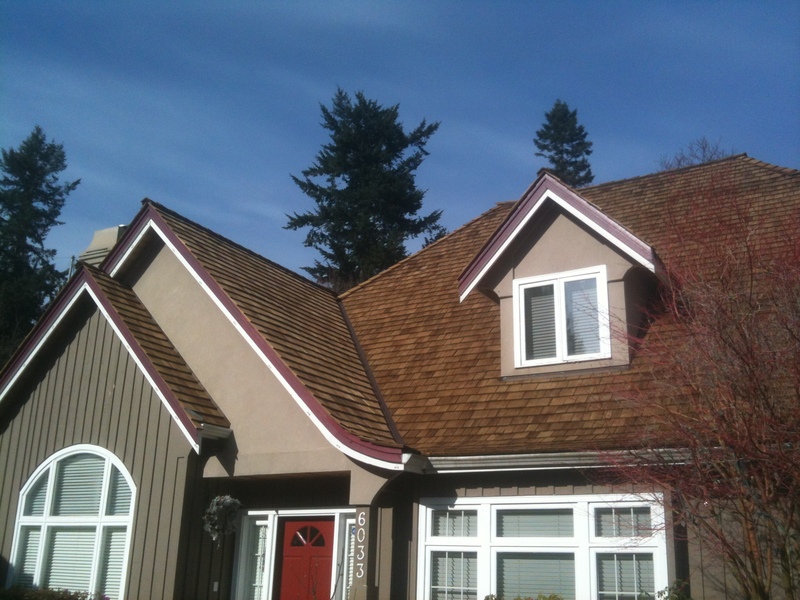 Cedar shake roofing is one of the most elegant roofing solutions ever. Not only is it aesthetically unique, it also adds value to a home and is a renewable source. This makes cedar shake roofing one of the most environmentally friendly roofing materials. Cedar shake roofing is a single answer for UV damage, hail, storm, snow and insects; it also has many advantages that other roofing materials don’t offer. Lightweight and durable, even if it is not painted or treated. Natural insulators and help in maintaining cool temperatures during the summer and warmth during the winter. Although the initial cost of cedar roofing is more expensive than asphalt, the maintenance cost is considerably less in the long run. Making a decision about a company to handle your cedar-roofing project is difficult. Why not trust the company your neighbours have been trusting for cedar roofing since 1986?